Altaro Software is a fast-growing developer of easy-to-use and affordable backup solutions for small and mid-market businesses, featuring enterprise-class features and functionality. Specializing in backup for virtualized environments, the company has grown rapidly over the years with its flagship solution Altaro VM Backup, which gained traction as the natural choice for Hyper-V and VMware data recovery. More than 40,000 businesses worldwide are Altaro customers. Alvogen is a global pharmaceutical company focused on developing, manufacturing and selling generic, brand, over-the-counter brands (OTC) and biosimilar products for patients around the world. The company has commercial operations in 35 countries with 2,300 employees and operates four manufacturing and development hubs in the US, Romania, Korea and Taiwan. Baxter products are essential building blocks of care and in delivering cost-effective healthcare solutions. Innovation is at the core of Baxter’s mission to save and sustain lives. Baxter develops innovative therapies that address needs to increase access to care; enhance clinical outcomes and improve efficiency. Baxter have helped shape medicine as we know it today with breakthroughs in sterile IV solutions, kidney dialysis therapies and more. Boston Biopharma is a US-based pharmaceutical company that specializes in providing the highest quality specialty medications worldwide, especially to emerging countries. We do this through pioneering R&D, licensing, manufacturing, and commercializing the finest therapeutics – particularly in oncology, multiple sclerosis and immunology. DRGT is a fast growing global provider of integrated gaming management solutions. Founded in 2005, the company is headquartered in Aalst, Belgium, and has offices in Malta, Austria, South Africa and Peru. Its innovative, forward thinking, flexible systems give customers total management control. Elty Food services the food industry by connecting knowledge with execution. Its services comprise nutritional labelling, analytical food examination, product & recipe development as well as specialised training & courses. The Golden Helix Academy aims to establish, in concert with established academic institutions, e-learning modules related to Genomic Medicine topics, such as Public Health Genomics; Genome informatics; Economics and Health Technology Assessment in Genomics; and Genethics. These modules – which are provided in English as well as in local languages, where applicable – lead to Certificates, specifically aimed for the needs of parties from developing countries. 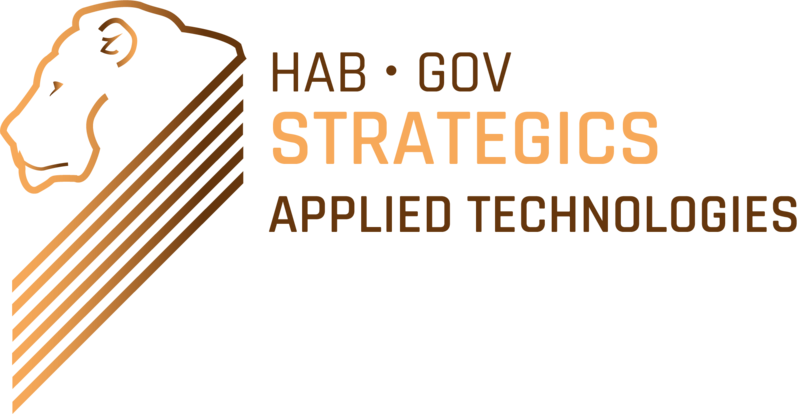 HAB GOV STRATEGICS Applied Technologies Ltd is a quality management consultancy, specialized in the implementation of the quality assurance systems, such as ISO 13485:2016 Medical Devices & ISO 15189 Medical Laboratories, whose advice include the elaboration of specialized databases and software according to the corresponding required ISO Standard. Implantica is developing a new generation of Smart Medical Implants based on its Wireless Energising Platform, to power remote controlled implants wirelessly through intact skin, as well as its eHealth platform e-InVivo™ which monitors data from inside the body and sends it to external devices. Our first product, RefluxStop™, an innovative passive implant, will potentially create a paradigm shift in anti-reflux surgery as supported by clinical trial results. The Institute of Medical Emergency Education (IMEE) is dedicated to preventing death and disability from accidents and trauma through education, training and emergency trauma care. The Institute also provides training in Hospital Management, Clinic Management, Occupational Medicine, Basic and Advanced Life Support, Food Safety Management as well as Training in Hospital Computerisation systems. The Neurotech International group of companies is a fully owned subsidiary of Neurotech, an Australian public company. The group researches, designs, develops and manufactures quality medical solutions. AAT’s purpose is to improve people’s lives though innovation in the field of neuroscience and medical technology. The Materia Company is a research and development company in the field of pharmaceuticals and medical devices. Its aim is to develop products to improve people’s lives. The Malta Institute for Medical Education (MIME) is a new concept for an international teaching institute created to promote postgraduate medical education in Malta. In putting together an international faculty, a team of established local academics have invited international authorities as well as prominent expatriate Maltese lecturers in all medical disciplines to collaborate together. The Institute of Technology, Humanities, Arts, Medicine and the Sciences (ITHAMS) is one of the leading institutes of its kind in Malta, with a prospectus that covers over 100 different courses. The institute integrates knowledge, research, industry experience and international exposure to offer comprehensive training programmes. Real Generics provides consultancy in European pharmaceutical regulatory affairs for abridged marketing authorisation applications. Services covering the entire product lifecycle are provided to companies of all sizes, as a complete package or in support of discrete projects. The company is part of the Real Regulatory Group. Re-Solve develops novel solvent recycling technologies for industry. The venture is a spin-off from Universal Import and Export Ltd, which has been serving Malta’s industries with high quality packaging and technical products since 1972. RCLIN Pharma Ltd is a fully owned subsidiary of RCLIN Group, headquartered in Montreux, Switzerland. RCLIN Group is a network of medical clinics and labs specializing in personalized medicine. RCLIN Pharma Ltd. will research, develop and manufacture food supplements and personalized medicines. Scope are the local specialists in the implementation of cloud based software solutions including Accounting software, Point of sale, Inventory management, Websites and a host of other integrated solutions. We also focus on delivering the simplest and smartest strategic fit for a variety of industries such as retail, wholesale and service oriented customers. SUNLAB Group Ltd is a Maltese company that performs environmental monitoring (stack emission, air quality, sampling of soil, waste, water, sediment, etc. ), chemical analysis of different matrix, and technical advice (IPPC, environmental monitoring programme, risk environmental assessment, etc.). As of 2016 Sunlab is an ISO 17025:2005 accreditated lab.